Joyce Glasser reviews The Predator (September 14, 2018), Cert. 15, 106 min. 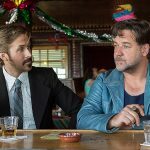 Shane Black is back! That’s the good news. 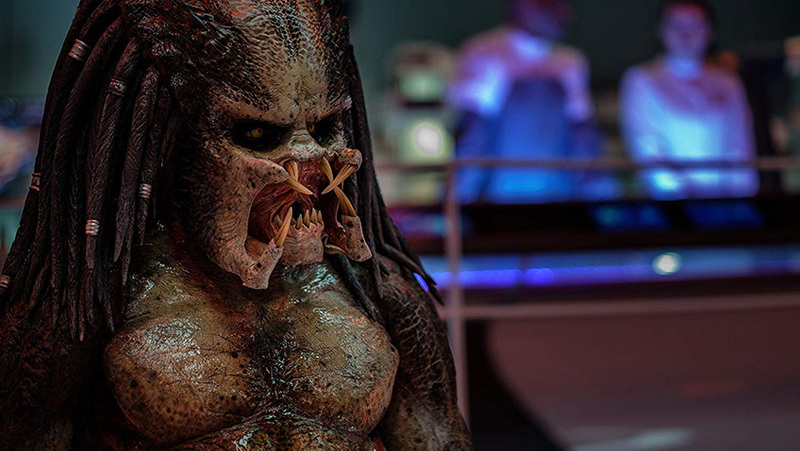 The bad news is that The Predator , while it has its moments and a promising lead actor, looks like the victim of an alien filmmaker slashing its way out of poorly cut scenes, preposterous exploits from a female biologist, pseudo scientific hogwash and an indecisive plot. When the 26-year-old Black played the role of radio operator Rick Hawkins in John McTiernan’s hit movie Predator in 1987, he had just finished writing the script for Lethal Weapon: the film that was to launch his career, a franchise and the buddy movie formula for years to come. 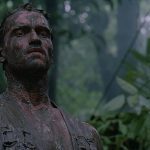 The producers wanted Black to write the script for Predator, but he declined and was the first of Arnold Schwarzenegger’s team to be killed off on screen by the alien/predator. Fast forward, past The Last Boy Scout, The Long Kiss Goodnight, Kiss Kiss Bang Bang, Iron Man 3 and The Nice Guys and Black, now 56, has returned to the flagging franchise, this time as writer/director of The Predator . 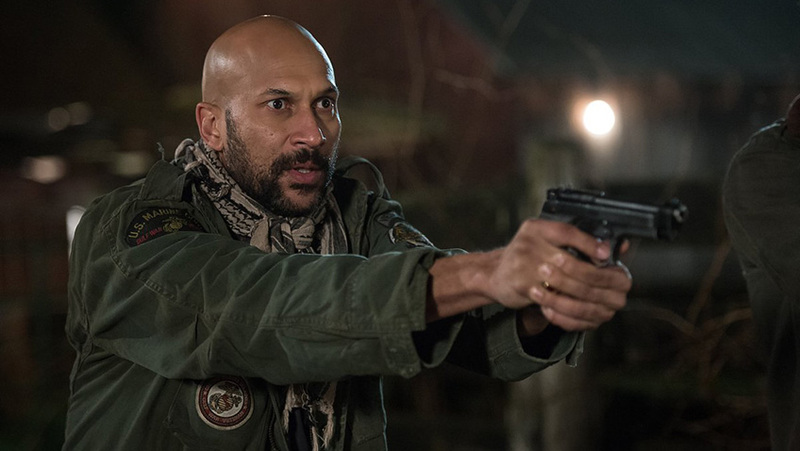 Whether or not this film will be a comeback for Black – once the most highly paid script writer in Hollywood – he certainly gets revenge for Rick Hawkins with a high body count. Black is not very interested in Predator 2 of 1990 (despite the fact that it starred Lethal Weapon co-star Danny Glover); and even less so in Alien vs. Predator (2004), Aliens vs. Predator: Requiem (2007) or Predators (2010). He is nostalgic for the original and pays homage to it sufficiently to satisfy those who share his nostalgia. The film begins (don’t they all) in a Mexican jungle where Quinn McKenna (a charismatic Boyd Holbrook, the villain in Logan and star of the Netflix series, Narcos) a former highly decorated Army Sniper, but now a mercenary engaged in a hostage situation, ends up with a big credibility problem. He and his men are ambushed by some alien (we see the space craft) monster who appear as a faint shape of light. It attacks from the trees and moves like lightning. McKenna, the lone survivor, finds on the jungle floor pieces of high-tech body armour which he Federal Expresses to himself at a P.O. Box, as one does! The package, however, ends up being delivered to McKenna’s house. A curious Rory opens it and having found the operating system, starts communicating with the alien proprietor, drawing him toward Rory’s house. A young Asberger’s-spectrum genius, Rory was born coding and has an ability to learn languages quickly. 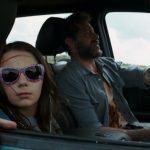 Rory, by the way, is played by Jacob Tremblay, the young co-star of Room, and was voted best young performer by the Critic’s Choice Movie Awards. When McKenna returns to the USA he is sent to the Veterans Administration hospital and branded, if not insane, and dangerous. Like most of today’s 20 and 30-something film heroes, he is separated from his wife (who still admires and loves her hunky husband, but can’t live with him) and misses his child or children. 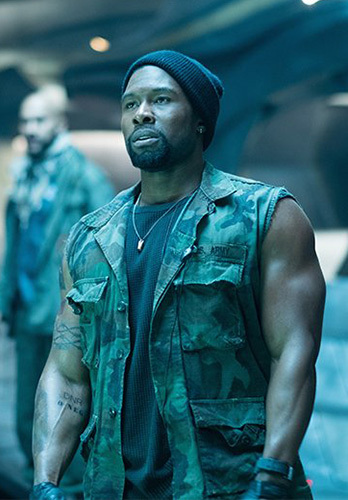 McKenna finds himself forced in a bus with a rainbow coalition of rebels and misfits (played by Trevante Rhodes, star of the Academy Award winning Moonlight; Keegan-Michael Key, Thomas Jane, Alfie Allen and Augusto Aguilera) dubbed ‘The Loonies’ for their various idiosyncratic PTSD symptoms. As you would expect from the king of the buddy movie, the motley group bond and find themselves ready once again to sacrifice their lives for a heroic cause. 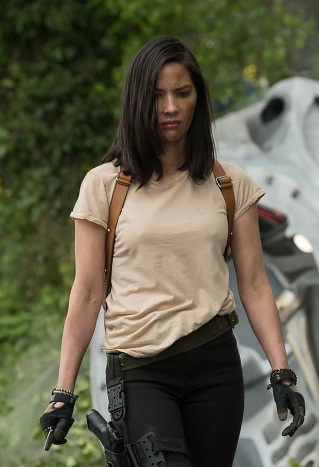 Meanwhile, back at a space-age lab, evolutionary biologist and John Hopkins University Science teacher, Dr Casey Brackett (Olivia Munn) is called in to confer with scientists who are studying a specimen brought in by the military. Brackett hears that the creature has human DNA and is puzzled by the nomenclature: a Predator kills its pray to eat it. These creatures appear to be hunting for sport! The heavily sedated creature wakes up and starts hurling people into the air to escape. Oddly, it turns out that this creature is a traitor from his planet bringing a message to humans to warn them of an even bigger alien who is about to descend for a specific purpose. The creature leaves Brackett alone, perhaps because she is naked, having been in the process of removing her lab suit to activate the closed doors, but we never learn why. It could be related to the ‘dust’ factor from Predator 2. Later, Brackett gets along with the alien monster dogs as well, so it could be a gender thing. But inexplicably, when McKenna, still in the bus with the Loonies first sees Brackett, she is chasing the escaped alien. She is running like Usain Bolt with a heavy automatic rifle in her arm and she’s a good shot: something you wouldn’t expect to learn in teacher training or in a biology lab. Soon, McKenna, the Loonies and Brackett are a team, and the first port of call is McKenna’s home where news of the home delivery and Rory’s explosive Halloween costume ignite McKenna’s paternal instinct like nothing else. For it is not only the aliens who are after Rory, but an ill-defined army unit that determined to recapture the Loonies and take over the alien’s spaceship. The McKenna/Rory/Alien/Army plot is straight out of Mercury Rising in which the action hero (Bruce Willis) has to protect an autistic boy who has cracked a government code from two sources of danger. The guts and the gore are almost generic and the alien dogs look like leftovers from several CGI strong movies, most recently, the battle scenes in Black Panther. In addition to a few scenes that seem truncated (Rory’s Halloween nightmare) and sloppy shooting or editing (would a crashing space ship land exactly where Dr Brackett first saw it take off? ), there is some confusion about the Sci-Fi element. At first, Dr Brackett’s big revelation is that the aliens are hunting for sport (The Hunger Games with monsters). Then, without discussion, this theory falls by the wayside. It turns out that the big alien (that kills the ‘traitor’) is out to collect the DNA from the spines of the ‘warriors’ of civilization because our planet is doomed from global warming. It is an evolutionary biologist’s dream, but a nightmare for McKenna as it’s not he who is the chosen one.